Americans are pretty set on which animals are OK to eat. Pigs, cows, etc. -- totally fine. Cats, ferrets, etc. -- not so much. But kangaroos? Are kangaroos OK? If the reaction from this school district is any indication, the answer is absolutely not. 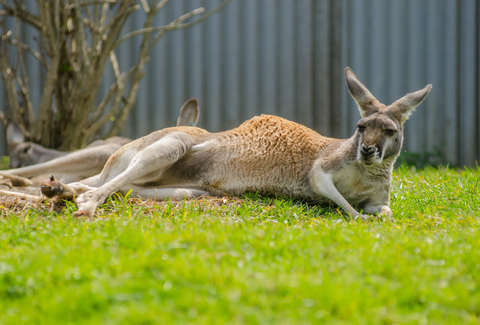 NBC Nebraska reports that a chef at a public school served kangaroo to students for lunch on October 10 without telling them and has since been fired. Superintendent Mike Williams of the Potter-Dix school district in Potter, Nebraska sent out a letter to parents, also posted on Facebook, in response to the incident, apologizing for "the anxiety and any harm" that serving the meat had caused. The head cook who served the lunch, Kevin Frei, explained to Williams that he'd added kangaroo to that day's chili for its nutritional value and "because it is a very lean meat." While Williams acknowledged that it meets USDA standards and that he does not "think kangaroo meat is unhealthy or dangerous," he expressed his remorse over the incident and promised that it would never happen again. Judging by the tenor of the accompanying Facebook post, parents did not take this revelation in stride. "While we understand that it has stirred strong emotions in everyone, we would appreciate if you would refrain from commenting," the caption reads. "Any comments will be deleted. If you have a concern, please contact the school." Time points out that eating kangaroo is a common practice in Australia, France, and Germany.